I was contacted recently by a 50-year old law firm interested in technology that might help them in conflict searching. I soon found out that all of their records are on paper. This was going to be a big step for this firm, but one that would definitely provide a return on their investment. The first step is always the hardest to take, and I was encouraged that they recognized they could use technology to help their conflict searching, and practice, move forward. So now, where to begin? With 50 years of data, this can look like a daunting task, but if the firm starts this process with their active clients and inputs the data in a consistent manner with any of the recommended software, the benefits will be seen immediately. As new clients are added and old clients come back to the firm with a new matter, their information is brought into this new system. With a basic process outlined, the firm asked for some specific solutions to their problem - which software is best? Many of the software packages on the market today include conflict searching as a part of their offerings and are included in the "Practice Management" area of the legal software industry. All of my recommendations included software that performs conflict searches as well as a wide variety of other practice management tasks including time and billing, calendar, and contact management that might be helpful in the near future to other areas of the firm. The difficult part of this type of software implementation is the entering of information into any of these systems. With a wide array of computer skills and accessibility, this firm needed software packages at all skill levels. I recommended several options to them that also have the ability to import data directly from an Excel spreadsheet when properly formatted, which would be key with so much data. I have included one product from the newest area of growth in the Legal Technology field - Clio - a Software as a Service offering. The alternative is TABS3, whose Practice Management piece, PracticeMaster, has been a legal industry standard for more than 20 years. PracticeMaster is a more traditional, in-house, practice management system, while Clio is one of the newcomers in the industry. Both would offer this firm a significant improvement in the speed and quality of their conflict searching. Clio is an online Practice Management system. While it has only been on the market for about three years, Clio has taken the legal industry by storm. As one of the new "Software as a Service" practice management tools, Clio is an easy to use software tool. It is a great way to enter into a practice management system without much investment. The easy conflict search feature would offer the firm a one click search on all data that has been entered into Clio. In addition to conflict searches, Clio allows firms to organize all of the contact information for their clients and matters as well as document management and calendar management. 1. Clio is an excellent practice management tool that offers a high degree of functionality at a low cost. 2. Clio offers a 30-day free trial. 3. Clio is available 24-hours/day from any computer and internet browser. 4. Clio does not require any investment in technology within the office other than a solid, high-speed connection to the internet is recommended. 5. The subscription to Clio can be eliminated at any time and offers some easy export tools. 6. Clio continuously backs up all of the data and no onsite backup is necessary. 7. Most of the implementation of Clio is done by staff with some initial help from Clio and/or an outside IT consultant. 1. Internet access is required for access to Clio. 2. Clio is only three years old. 3. Migrations from existing time and billing packages may be difficult. 4. Importing data from Excel spreadsheets is limited to contacts and calendars. 5. Monthly fees for each person using the software as long as the service is being used. Clio is a subscription based service that cost $49 per attorney per month and $25 per staff member per month. Similar Software as a Service (SAAS) offerings include Rocket Matter, HoudiniESQ and a variety of other up and coming firms as well as the more traditional firms, like Lexis, who is now offering a web-based system, Firm Manager. The TABS/PracticeMaster suite from STI is a legal industry standard for time and billing and practice management. With a focus on small legal firms, TABS/PracticeMaster was established more than 30 years ago and offers a wealth of data about clients, contacts, related parties and time and billing. With a primary focus for time and billing, TABS is a complete package for all of a firm's time and billing needs. The practice management piece offered from STI is PracticeMaster. While it does integrate with TABS, PracticeMaster is a great stand-alone practice management tool. The PracticeMaster module can be implemented without TABS or TABS can be added on later as a separate module. PracticeMaster resides on either one computer workstation or a file server that is shared throughout the firm. Each person would access PracticeMaster individually through a secure login, but all the information could be shared throughout the firm. PracticeMaster offers a comprehensive package of practice management tools including conflict searches, client and matter contacts, and the ability to track related parties that are not part of the matter, but may be critical to the case, including judges. PracticeMaster is an excellent tool for beginners and intermediate level attorneys and paralegals. It has excellent integration with other software, such as Microsoft Outlook, and would be a solid tool for conflict searches as well as calendar and client management. 1. PracticeMaster is an award-winning and time-tested, comprehensive practice management tool. 2. All data is maintained within the office and an internet connection is recommended for software updates. 3. Easy to use software that can be expanded into a time and billing system if needed. 4. Solid, award winning software that has been used by many small law firms for more than 30 years. 5. Information can be imported into PracticeMaster from Excel spreadsheets to populate the client/matter fields. 1. Requires investment in either one dedicated computer workstation (approximately $1,000) or a file server ($3,000+) to serve as PracticeMaster server. 2. Would require an outside consultant to help with initial setup of PracticeMaster. A separate evaluation would need to be completed to determine the exact cost of implementation of PracticeMaster. 3. A daily backup of the software would be highly recommended. There is a one-time fee for PracticeMaster licenses of $200/license. An annual maintenance package is recommended for $80/license. Additional modules of TABS can be added to PracticeMaster at a later time including their time/billing module (TABS), General Ledger, Trust Accounting and Accounts Payable. All computers in the office would be required to access the PracticeMaster server/workstation. PracticeMaster may require software upgrades in order to access the shared PracticeMaster server/workstation. For solos or small firms, a dedicated PracticeMaster workstation would be required and cost approximately $1000. As firms grow in the number of users, they typically find that a workstation is not adequate and choose to purchase a server costing approximately $3,000+. Similar offerings to Practice Master include Amicus Attorney, PCLaw and other traditional legal technology firms that have been industry standards for years. The culture of a firm will dictate which of the options for practice management will be most appropriate. While Clio is quite progressive in terms of an online practice management system, it offers some features online that make it appealing even to the novice user. However, Clio is behind the more traditional practice management systems in its ability to import existing files from other systems and requires assistance from Clio's technical support department. PracticeMaster is the more traditional route for firms moving into a practice management system for the first time. PracticeMaster and others like it are both solid choices for practice management within the office while Clio and its competitors offer the allure of online practice management that might be more appealing to progressive attorneys. I have introduced these software packages as a good entry point for the firm to begin its conflict checking and hopefully move into full-fledged practice management. There may be other options, but these are two solid choices to start the discussion. 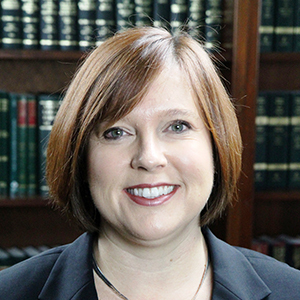 Pegeen Turner is the President of Turner IT Solutions, Inc. With more than 13 years of experience helping attorneys utilize technology, Turner IT Solutions focuses on helping law firms in the Carolinas navigate legal technology solutions and cloud-based applications. Contact Pegeen at 919-676-3065 or pegeen@turneritsolutions.com.